Vintage Enamel Signs - Original House – Decorative Antiques, Vintage Industrial Furniture and Lighting, Cotswolds. 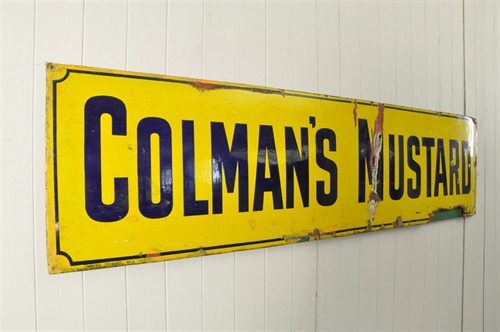 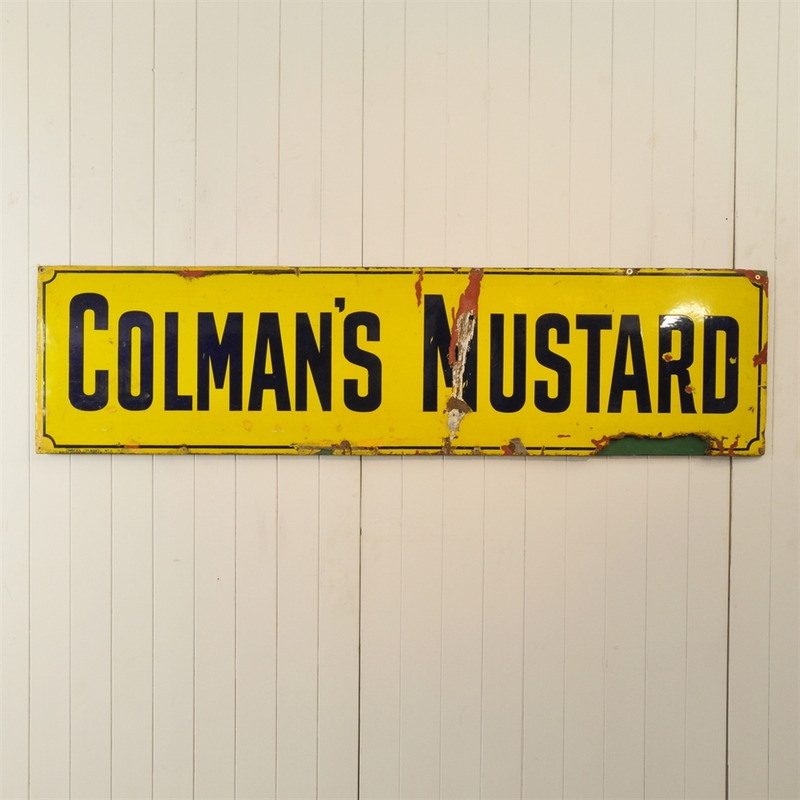 These vintage enamel Colmans Mustard signs date back to around 1930-40. 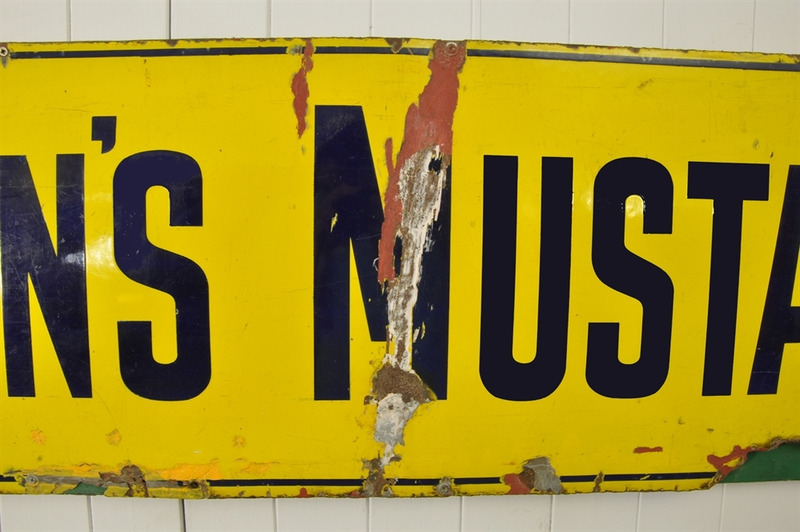 Although this one has plenty of chips, marks, holes etc we just love the shape and colour of it. 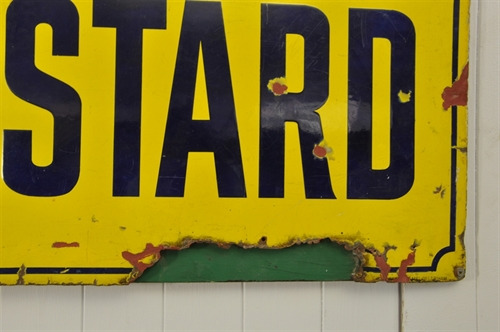 40.5 cm h x 158 l x 1.2 d.